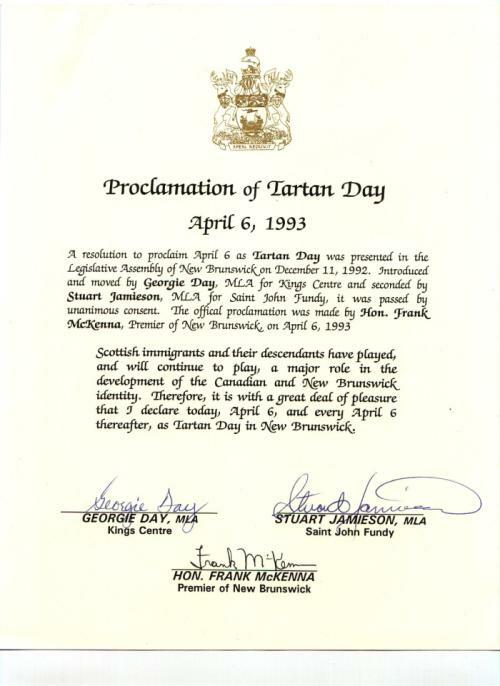 First adopted in Nova Scotia in 1987, Tartan Day spread to Canada’s other provincial and territorial jurisdictions in the first half of the 1990s, to the United States by Act of Congress in 1998, and then to Australia and New Zealand. 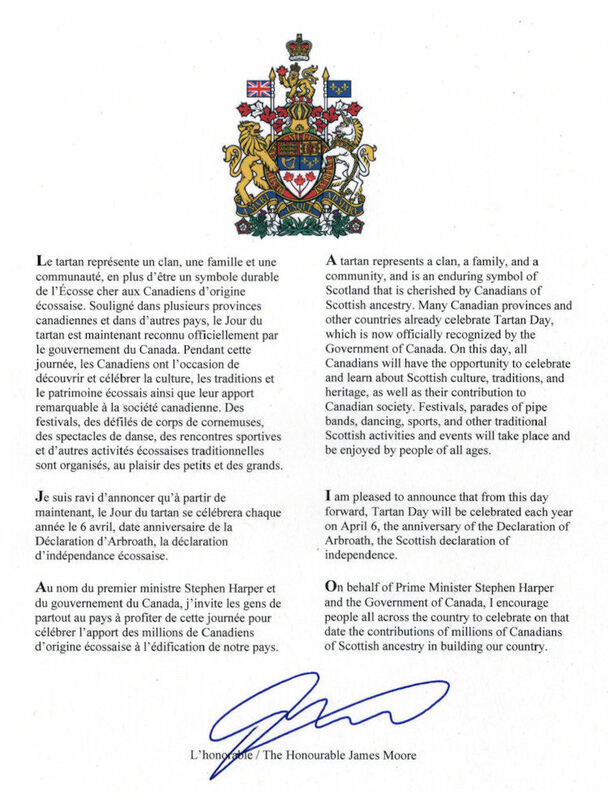 After many years of lobbying by Scottish associations across Canada, in 2010 the Government of Canada proclaimed that Tartan Day be celebrated annually across Canada. It is with this sentiment in mind that the New Brunswick Scottish Cultural Association asks each and every person of Scottish descent to don their tartan to commemorate this important day. Please visit the NBSCA Events Calendar to see how your community will be commemorating Tartan Day. On 6th April 1320 the Scottish nobility, following the Second War of Scottish Independence, issued the Declaration of Arbroath. This document was forwarded to Pope John XXII in Avignon, France, establishing the historical independence of Scotland and the rights of the Scottish people (though ‘people’ at the time was not so all-encompassing a word as we might suspect) to choose their own monarch – no matter how vehemently the King of England claimed otherwise. It is, perhaps, the most important document in Scottish political history, effectively the Scottish “declaration of independence.” On Tartan Day we celebrate our freedom to acknowledge and to celebrate our Scottish heritage.